In theory, our lawns should be at their finest in high-summer: lush, green and mayby even sporting bowling green stripes. The reality, however, may appear a little different. The dry spring, followed by periods of excessive rainfall during storms, has put a strain on turf. Heavy wear over summer takes its toll, too, compacting soil and weakening the grass. Clay soils can bake solid during hot spells, leading to sparse, yellow growth. Sandy soils present challenges as well, as nutrients leach during downpours, resulting in patchy, weak growth. The good news is that you don’t have to spend a fortune or embark on a backbreaking maintenance programme to give your lawn a quick makeover in July. For small areas of grass, I’ve had great results from Miracle-Gro Lawn Food. This high nitrogen and chelated iron feed can easily be mixed-up in a watering can and applied to the lawn. Lawns usually green-up in a few days, and it’s best applied when the ground is damp. 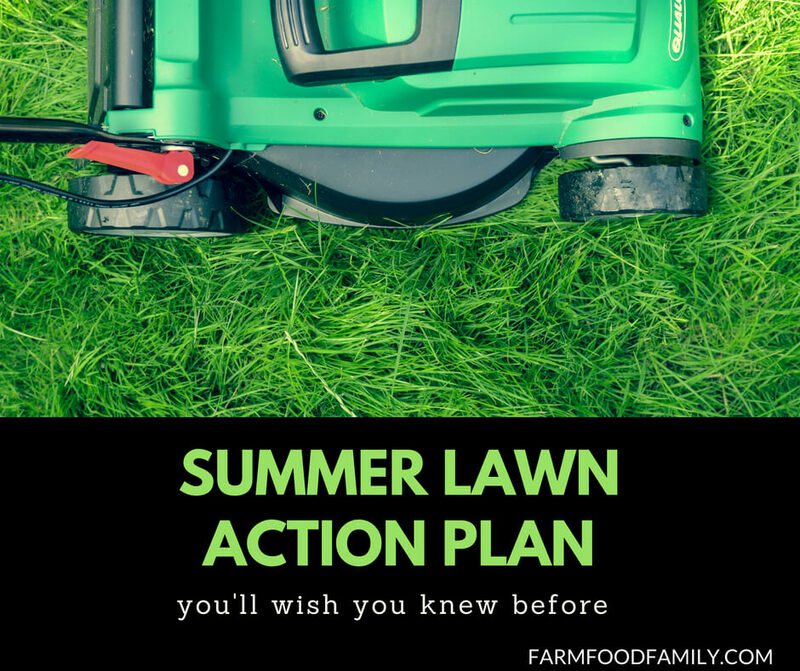 For larger lawns or problem areas, see below for my six-point summer maintenance plan that’ll get your turf back in tip-top shape in time for a barbecue – weather permitting! Close-cut mowing can weaken a lawn, leading to shallow rooting and making grass susceptible to drought. In hot spells, raise the height of the mower’s blades slightly. Mow fortnightly, not weekly. Granular feeds can green-up a lawn in just three days. Apply before rain is due. Do not apply quick-fix lawn feeds after August, as their high nitrogen content encourages growth at the wrong time of year. Use a lawn weedkiller to spot-treat troublesome weeds such as dandelions and broadleaf plantain. Treat on a warm, dry, sunny day. Never use a general weedkiller or it’ll damage the surrounding grass. Tidying border edges instantly makes the garden look good . Use a half-moon edging iron or garden space to trim overgrown edges. A piece of string pegged between sticks can help to create a neat line along border edges. Gardeners who take pride in turf may consider using a sprinkler to keep lawns lush in dry spells. But this can be costly if you’re on metered water and puts a strain on supplies. Lawns do recover in autumn.